The Mind Body Eating Online Conference! In a time when so many people are suffering from food- and eating-related challenges, life is asking us to embrace a fresh new perspective on healing and transformation. The Mind Body Eating Online Conference showcases the voices of more than 60 top professionals and thought-leaders to help us step into new possibilities and a healthier future. Marc David, founder of the Institute for the Psychology of Eating, will be your host as we explore cutting edge thinking in the fields of nutrition, eating psychology, functional medicine, mind body wellness, cultural transformation, spiritual awakening, supplements and medicinals, environmental health and more. You’ll be inspired by experts from a variety of disciplines who each have something unique and innovative to share, and twice a day, you can join Marc in a live online Q&A session about the day’s topics. The Institute has a great track record of producing high level and well-loved conferences, and I think you’ll be impressed by their engaging style and the fascinating collection of passionate people they’ve brought together for this event. It’s time for an approach to nutritional healing that honors all of who we are – body, mind, heart, planet and soul. For those of you who don’t know, I received my training as a Mind Body Eating Coach from the Institute for Psychology of Eating and Marc David back in 2013. I have been coaching ever since I completed my training, and I have been loving this Conference. If you are serious about learning more about the new frontier of health and wellness, you will not be disappointed. I remember the first Conference I attended like this, I ended up purchasing the entire Conference so I could re-listen to all of the knowledge and wisdom. Since I’m getting this to you already halfway through the Conference, you may want to consider doing this yourself! Interested in working with me as your Mind Body Eating Coach? Sign-Up for a 90-Minute Laser Coaching Session or Contact Me to see if you Qualify for my Private Coaching Program.
" I came here to find freedom around food and find peace with my body. It was really starting to take over my life, I was being consumed by binge eating and was really unhappy with my body, and I needed to find freedom from that. I knew right away that I was in the right place because of how much Macy and I had in common. She made it such a safe environment and I felt like I could trust her. She was really invested in me which is what helped me dig deep. I was skeptical at first with the 'yoga side' of the healing, and now it's my favorite form of movement. I figured since it worked for her and helped her overcome binge eating than I ‘might as well give it a shot’. I got what I came here for, in different ways in what I thought I would. I was hoping that I’d lose a lot of weight, which I didn't, but now I look at life differently, I’m more loving to myself, I feel better in the exact same body that I had before. And now I know how to honor my body. I’ve learned ways to overcome negative thoughts and I’ve really gone outside of my comfort zone which has been the best. I think any girl struggling with binge eating, or anyone who is unhappy with their body or even any part of their life could benefit from working with Macy. I look at myself differently now and in a more accepting way. I really can’t imagine where I would be if I wouldn’t have done this. I’m really proud of myself for doing this, it was the best decision." 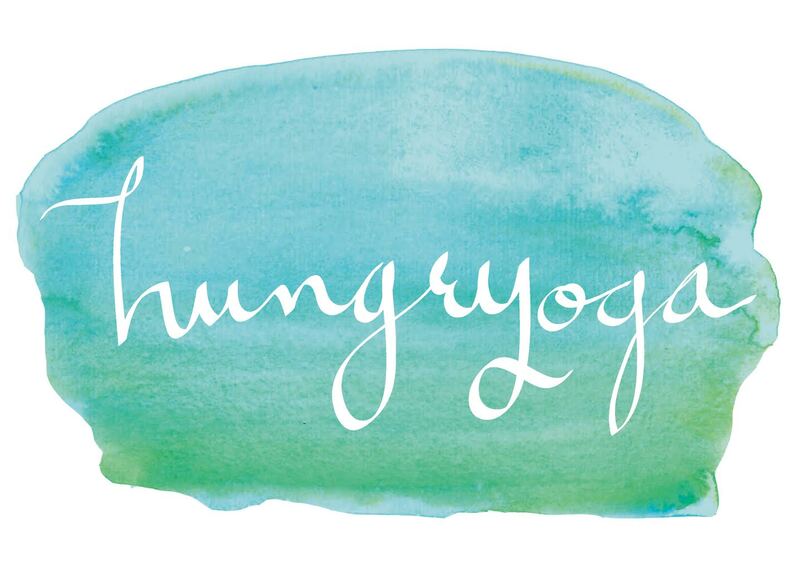 "I came to Hungryoga to find freedom from stress and guilt that I had around food and controlling exercise. I didn’t want my self worth to be reliant on what food I ate or how much exercise I was doing. I felt like I was in the right place after my Discovery Coaching Call with Macy. I told myself that I was going to find the relief that I had been looking for, and I ended up getting what I came here for - even more than what I imagined. I feel like a new person and like a weight has been lifted off my shoulders. Food isn’t a major issue anymore, and it used to consume my life. I would recommend working with Macy to anybody who struggles with their identity or finding who they are. I think they’d be able to figure that out through this program. I came to Hungryoga to get relief from feeling lost, and didn’t understand why I was self-sabotaging in many ways. I was just really tired of feeling that way. I wasn’t 100% sure I was in the right place, but had a really good feeling once I read Macy's testimonial on Facebook. It hit really close to home for me. I wasn’t skeptical about the program, but I had my doubts about truly coming to terms with how I was feeling and being able to change - and have the desire to do so. When I finally took Macy's advice and started doing artwork in the morning, I realized I wasn’t taking good care of myself. I was working out like crazy but wasn’t truly taking care of myself. I had to be okay with it being a slow process. I feel like I got myself back - the me that I remember years ago. My goal wasn’t to lose a ton of weight - I knew that that couldn’t be the overarching goal. I had to change what was ‘eating at me’. I would recommend Macy's coaching program to several types of people. Anybody that's feeling lost, like they have tried every program out there, currently taking tons of diet pills, going for a quick fix intead of taking care of themselvecs, binge eating or have any kind of digestion or stomach issues, people using food or alcohol as a crutch, and people who have faithfully worked out for years and can't understand why they haven't seen the results they desire. You reminded me that this isn't just me, other people feel this way too. When you showed me that there are other adult picky eaters, the way that made me feel was incredible. It reassured me that as an adult I'm not alone in this. The comfort and support you provided was amazing. You're awesome Macy!